I haven't treated myself to some new beauty products in a while, so today I used up some Boots points and found some bargains. I've been lusting after the Bourjois Healthy Mix Foundation for a while after hearing it was a dupe for Chanel's Vitalumiere, which I will never be able to afford to try it out, so I settled for this. I'm hoping it will be more light weight than my MAC Studio Fix as I need something lighter for summer. I chose shade 51 which is the lightest, I'll let you guys know what I think! 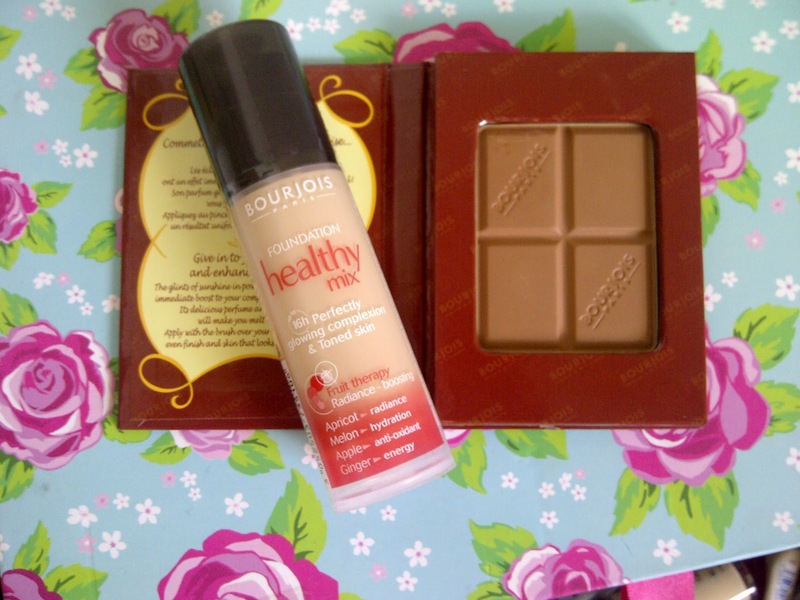 I picked up the Bourjois Chocolate Bronzing Powder, Boots was had an offer on Bourjois, buy one get one half price, so this was £3.50 instead of £6.99. Every time I look through my friends make-up bag I smell this, strange I know, but it smells like cocoa and holidays. Now I have my own one to smell... and oh use of course! SECRET: Bourjois is made in the same factory as Chanel make-up so they tend to have similar products or dupes! These two products were bargains. We have a store in my local town called Bodycare, not sure if it's nationwide but it's great for cheap beauty products! 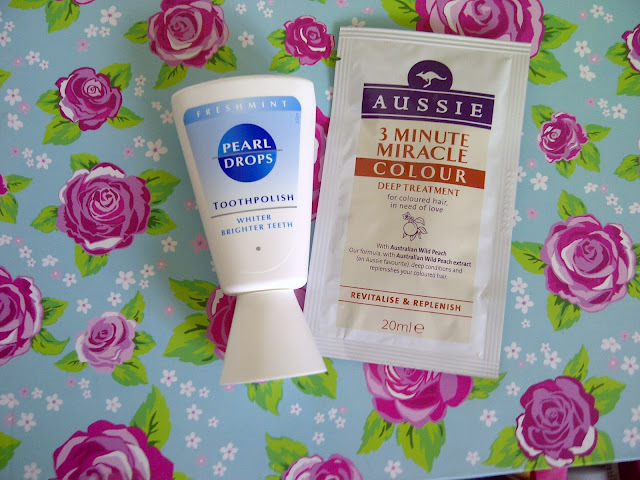 I've been hating the colour of my teeth lately so I picked up the Pearl Drops Toothpolish for 99p. Fingers crossed it removes some of the yellow staining! I'm desperate for a hair cut, the ends of my hair feel horrible, but until I can get to the salon I plan to slather my hair in the Aussie 3 Minute Miracle Deep Treatment, it was 85p, so you can't go wrong! Sorry I didn't have much to show, counting the pennies lately but I was in need of some retail therapy. 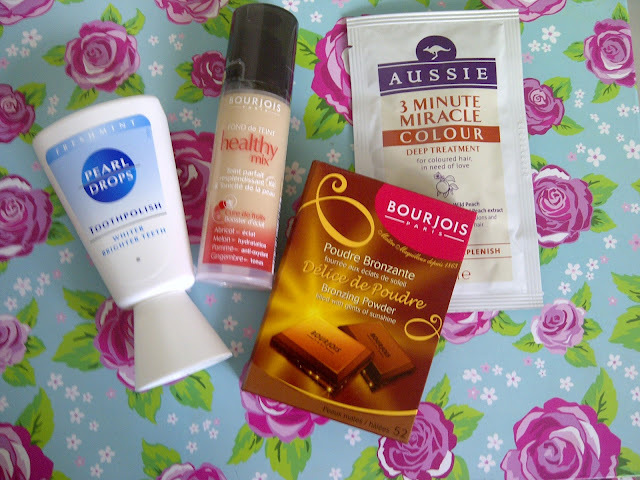 Thank God for Boots points and cheap beauty products 'eyy! What have you treated yourself to this week? 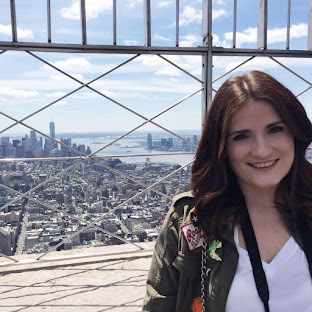 I invite you to the competition win a dress from Inlovewithfashion!